Engrossing. 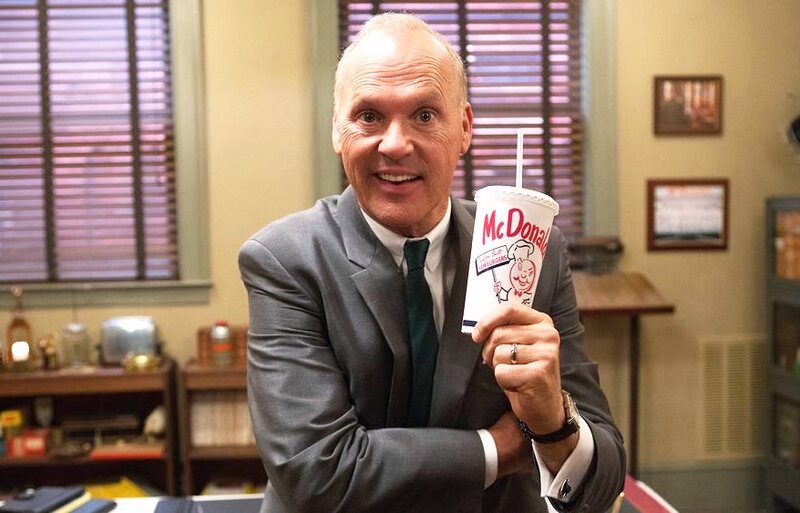 Michael Keaton does arguably his career best work in The Founder as Ray Kroc, the man who turned McDonald’s into an empire. This is one of those rare biopics that dares to be a man that smart viewers should not like as a human being, the kind of biopic that often churned out last in the brief art over commerce era of the 1990’s – films like “Ed Wood” (1994), or “Nixon” (1995), or “The People vs. Larry Flynt” (1996). And like those, “The Founder” comes up with head-rattling truths. It’s a terrific examination into pastime America, warts and all, as well as a look at a shady huckster who became one of the richest men of the century. Going in, I knew I hated Ray Kroc because 1.) when I’m in a bad mood, I like to say McDonald’s and generally the fast food assembly line is evil, 2.) I learned before viewing that Kroc actually stole ideas from a couple of brothers – the McDonald brothers! – in San Bernardino, California (here played by Nick Offerman and John Carroll Lynch as concept wizards who became saps). 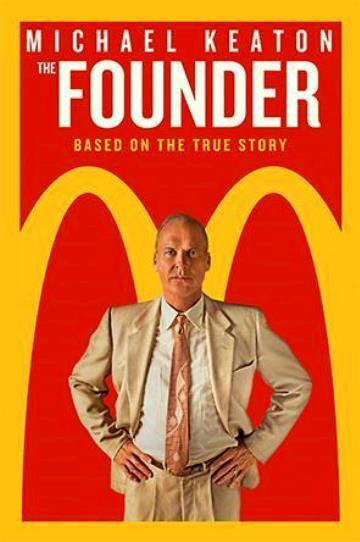 Yes, Kroc saw a groundbreaking system, but instead of going his own way to copy it, he coerced the brothers to let him franchise it nationwide, he modified the business model to maximize profits, then came up with the idea to buy the real estate under every location, including the real estate the McDonald brothers operated upon. Poor McDonalds. “The Founder” is a great film for a number of reasons. It is attuned to period detail and to the vernacular, enabled by the sharp writing by Robert Siegel (“The Wrestler”). Siegel, along with director John Lee Hancock (“Saving Mr. Banks”), are able to build an extension of ideas through the film. Such as, when Kroc started changing the business model, there was no technology in the mid 1950’s that would enable the McDonald brothers to watchdog Kroc while he was busy taking over their family business. The fact that Keaton is so self-serving, yet so tenacious in his ability to win peoples’ affections – it’s a stupendous performance – it’s just so hard not to admire the snake-oil charm of him. I find it so interesting, too, how Kroc could add and drop people, too, including his wife (Laura Dern does wonders with isolated desperation). And so I have no bones to pick about the time the film spends on the woman he decides to go after because his behavior in how he goes about himself is so damn atypical. Yet mainly what hits me the most, which makes the film great for me, is the conflicted emotions that I feel about it. I hate McDonald’s and the fast food industry. Never more did I feel this hate then when I first saw Richard Linklater’s eye-opening film “Fast Food Nation” in 2006. And yet Kroc was a man who like any other man has the right to make himself successful. Who’s right is it to say that a man cannot become a millionaire if he’s working himself hard enough to do that? Alas, does he not compensate the McDonald brothers a fair amount at the end? You be the judge. “The Founder” has been hastily dumped on a release date in January, which disengages it from any future awards chance. Thus, it loses any chance to build audience hype or excitement. I say, because of that, it is destined to be grossly underrated for eternity. By the way, once in awhile I eat Wendy’s because I try to lie to myself that it’s not as bad as McDonald’s, and therefore, not that bad for me. Film Cousins: “Ed Wood” (1994); “The People vs. Larry Flynt” (1996); “Super Size Me” (2004); “Fast Food Nation” (2006).